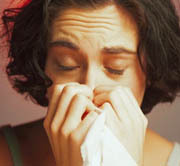 If you are taken sick our specialists will help you. In case of emergency medical care needed, call ambulance 03 (24 hours a day). Following emergency treatment, you should arrange to be transferred to a licensed medical institution capable of giving you the best treatment for your illness. Private persons, healers, or quacks may offer you help. Our advice is to refuse such offers. It is possible that no harm will come of their attentions, but it is more likely that you will simply lose time in finding effective treatment for your illness. St. Petersburg has many private health clinics, as well as private emergency and dental services. Since these use the most modern medical equipment and drugs and medicines, the level of service provided is as high as anywhere else in the world while prices are generally considerably lower. For information about any services of the leading medical centres of St. Petersburg and the presence of medicines in city's pharmacists please inquiry the Information Health Service: tel. 003 (24 hours a day). The city's pharmacists stock Russian and imported medicines. Many medicines are available without prescription. There is a 24-hour pharmacist at Nevsky prospekt 22. For further information, please look at "Emregency numbers".